TMZ reports that Kerry Lathan, a 56-year-old man who was shot in the back outside Nipsey’s Marathon Clothing store, was taken to the hospital, a week ago Sunday, treated and released. Five days after the shooting, Lathan, who is out on parole after serving 20 years for murder, was arrested at his halfway house for associating with a known gang member, namely, Nipsey. 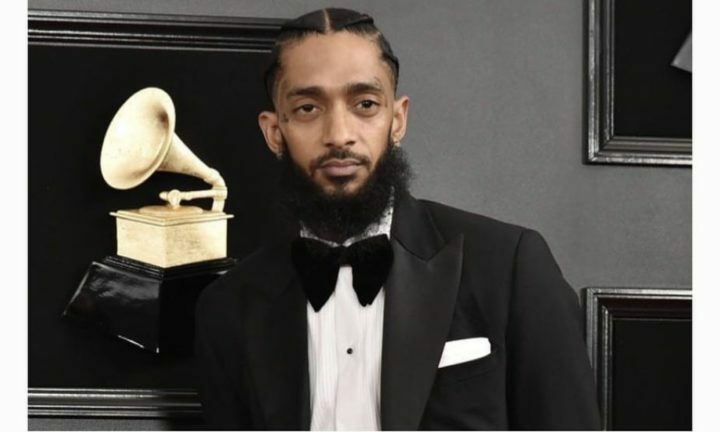 One of the standard conditions of parole is not associating with known gang members, and police claim Nipsey was a member of the Rollin 60’s Crips, TMZ reports. Lathan is in a wheelchair, the result of the shooting and unable to walk. Lathan had just gotten out of prison, and Nipsey went to Marathon to give the ex-con some clothes so he could look fresh when he reunited with friends and family. They were outside the store when they were shot by Eric Holder.